Commercial Plumber, Plant City, FL | A Step Above Plumbing Inc. Commercial Plumber, Plant City, FL | A Step Above Plumbing Inc. 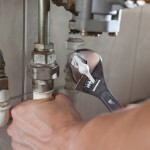 Need a commercial plumber for your business in Plant City? Give us a call. There are plenty of plumbers out there, but not all plumbers can handle the type and volume of plumbing challenges that a commercial business may have. If you have a business in Plant City, Florida and you need a commercial plumber, we want to make sure you know about us here at A Step Above Plumbing Inc. We have been serving the plumbing needs of this area for over 10 years, and we are open Monday to Friday from 7:00 a.m. to 5:00 p.m. We can also schedule appointments on Saturday and Sunday when needed. A commercial plumber needs to understand that businesses have special needs for plumbing maintenance and repairs. The volume of water and waste that goes through the pipes and drains on a daily basis is totally different than what occurs at a residential property. Commercial drains tend slow and clog more often, and you have little control over what strange objects a patron or employee might decide to flush down a toilet. Let us keep your commercial plumbing system in great shape! To find out more about why you should call us the next time you need a commercial plumber, get in touch with us today.